I wanted to write an article to talk about the updated features of the award winning and interactive Bluebee Pal 4.0. I have been writing for Bluebee Pals for many years and have seen a significant transformation in how Bluebee has changed and interacted with the current technology. For those of you who aren’t as familiar with Bluebee Pals, let’s review! 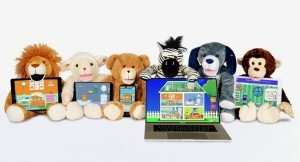 NEW 4.0 Bluebee Pal Pro is an interactive plush learning tool with FREE companion (life skills /educational app) that connects to all iOS and Android Devices and pairs with all apps with a narrative. 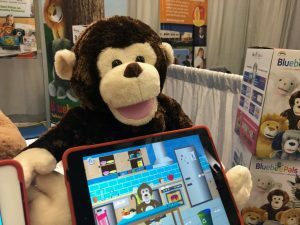 The new Bluebee 4.0 allows the “mouth and head” to move while reading stories, teaching through educational games, learning a language and singing songs. To watch a video of how this interactive tool works and can be used in the classroom, click here. Head Movement, Why is this so important? Why is head and mouth movement feature so important? When we communicate, we use all different ways to communicate. In one study, it was determined that 93% of our communication is nonverbal. Even if this number isn’t exact, it’s pretty close because most of our communication is nonverbal. What is nonverbal communication? Nonverbal communication is any communication we use with our body that is not speech. This includes facial expressions, gestures, head movement, eye contact, etc. With this new feature of head and mouth movement, a child can be more engaged with Bluebee Pal. Head movement is a type of nonverbal communication and important in the way we interact with each other. Check out this article that explains it more. To learn more about nonverbal communication and why it’s so important click here. What are some other features that you can use with your child and the new Bluebee 4.0? Use your Bluebee Pals Pro as a wireless speaker phone. Talk to your child or friends through the Bluebee Pals Pro by placing a call to a cell phone paired with them. When there is an incoming call, your ringtone will sound from Bluebee Pals Pro (this function may vary in different brands of cell phones). 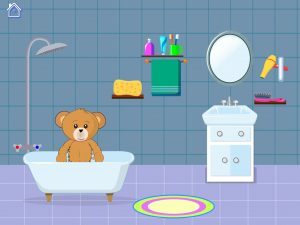 Have Bluebee Pal read you and your child a story with a story such as the Sesame Street App featuring Julia or a Day at the Market. 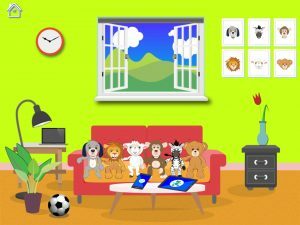 Connect your Bluebee Pal and your child’s AAC communication app. To see a list of AAC apps and reviews, click here. Work on literacy concepts with your Bluebee Pal with an app such as Letter School or Endless ABC. For ideas and reviews click here. 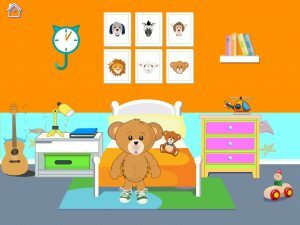 Connect your Bluebee with some of apps reviewed by Jo Booth, occupational therapist.